For the past two weeks Lawndale High School basketball has been the talk of the town for all of the wrong reasons. The Cardinals start two D-1 college recruits in 6’9 Broderick Jones (San Diego State) and budding superstar 6’10 Chimezie Metu (USC). However in the Cardinals CIF-Southern Section Div. 2AA championship game against Anaheim Canyon, coach Chris Brownlee’s team inexplicably blew a 28-point lead in the fourth quarter, and lost a 103-98 double overtime heartbreaker. While many called it the game of the century, they also castigated Brownlee as one of the worst coaches in the world. It is Metu who has been responsible for putting both Lawndale and Brownlee on the map. 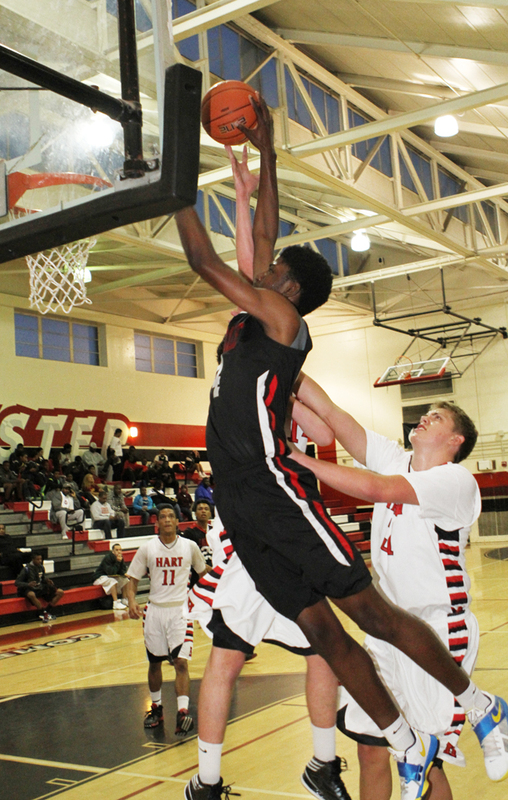 The only comfort that Metu and the Lawndale team had after losing that nightmare, was they would live to play another game in the Southern California Regionals against notably tougher competition. While Jones, who transferred from View Park Prep has won a championship in high school; Metu doesn’t know what a CIF title feels like and has been desperately searching for one. The clock is till ticking, but Metu and Lawndale will get another crack at the Regional Championship on Saturday March 21 at the Long Beach State Pyramid at 11a.m. Metu had 21 points and 11 rebounds to help Lawndale team beat the No. 1 seed La Costa Canyon in CIF State Division 2 semifinals, 60-46, on Tuesday March 17. Again the Cardinals almost blew a 19-point lead when it was trimmed to six in the second half, but never wavered and held on for the win. D’Lano Beckles added 13 points and teamed with Quincy Pinkard for a strong defensive effort on La Costa Canyon’s Harvard-bound point guard Tommy McCarthy, who scored 23 points. Lawndale will play La Mirada on Saturday at noon at The Pyramid in Long Beach in the Regional Final. Elsewhere, Price High coach Michael Lynch will also get another shot at a championship when the Knights play No. 1 seed Sierra Canyon at 12p.m. at Colony High School. 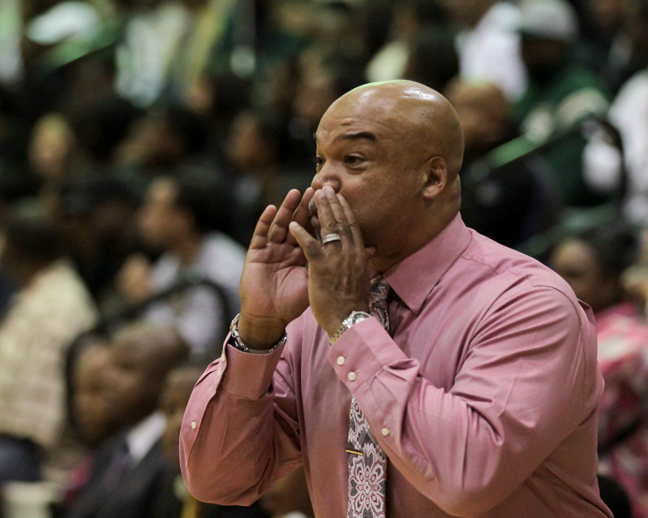 Fairfax led by Lindsay Drew and Lorne Currie will play for the Open Division Regional title at the Pyramid at 8p.m. against either Bishop Montgomery or Mater Dei. In girls basketball Serra defeated Vista Murrieta 71-56 in the CIF State Division 1 semifinals. Serra (22-10) will play Ventura on Saturday at 2 p.m. at The Pyramid in Long Beach in the Division 1 SoCal Regional Final.